Motorcycle riding can be dangerous at the best of times. A study by ICBC found that only two per cent of BC drivers were motorcyclists, and yet they were 15 times more likely than drivers of other vehicles to be involved in a motor vehicle accident. While winter driving conditions make matters worse for all types of drivers, this is particularly true for motorcyclists. Experts suggest motorcyclists should be especially alert for sudden temperature drops. These changes in temperature can cause patches of ice to appear. Dark and shiny asphalt can indicate the presence of those thin sheets of ice known as black ice. What should you do if you are approaching a slippery patch on the road? For motorcycles with a clutch and gears, pull the clutch and coast across the slippery patch. 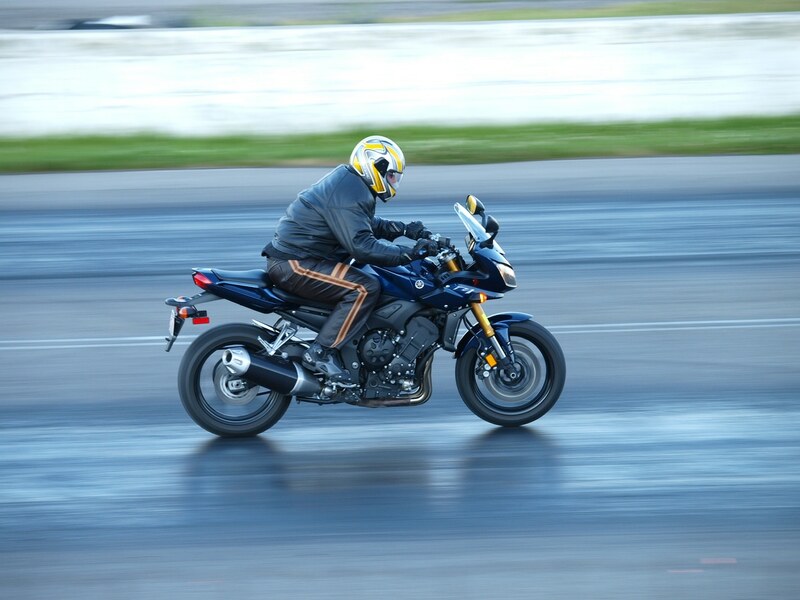 For all types of motorcycles it’s best to avoid braking or accelerating on slippery patches. Check tire pressure regularly, since cold weather lowers tire pressure. Be aware that face-shield fogging is worse in cold weather. Use anti-misting spray on your visor and mirrors. Fatigue caused by cold weather is a big danger. Therefore, dress in layers, keep skin covered and beware of slowed reaction time. It’s not just motorcyclists who face danger on the roads, of course. Here in Alberta, traffic fatalities are on the rise for all types of vehicles. In 2012 there were 345 traffic fatalities in the province. This was an increase of 10.2 per cent over the previous year, according to Alberta Transportation. According to Alberta Transportation, Fridays are the most dangerous day of the week for traffic collisions. You can download a PDF of the 2012 Traffic Collision Statistics from Alberta Transportation here. You can find additional winter riding tips at the Motorcycle USA website.